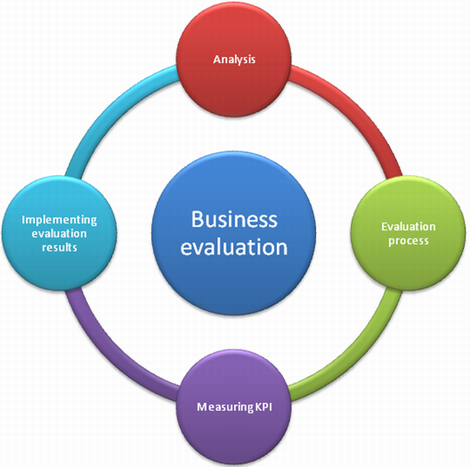 What is the most important aspect in evaluation of business performance? First of all, evaluation process must be timely. In other words, business should be regularly evaluated in order to take counter measures to fight against problems and imperfections. Secondly, one should evaluate the most important indicators. If you are paying attention to the profits only, you may be ignorant on many other factors that directly or indirectly influence well-being of the business. As known, a call center is an inseparable part of any big company that takes care of relationships with its customers. A company that values its customers and is willing to find new ones, always takes care of customer support and call center services. As a part of a big business (usually customer support services do not earn money but consult callers on tech problems), a call center needs to be regularly evaluated. Evaluation process should not necessarily take much time and effort. In the age of IT technologies millions of managers from all over the world are using special automated performance evaluation system. Balanced Scorecard is one of the most popular of such systems. This software needs certain figures and values to measure performance of a company. In our case (a call center) Balanced Scorecard evaluates KPIs relevant to call center and customer support service. KPIs are key performance indicators, i.e. values that represent performance of a call center. In other words, these are figures that show how well a call center works. 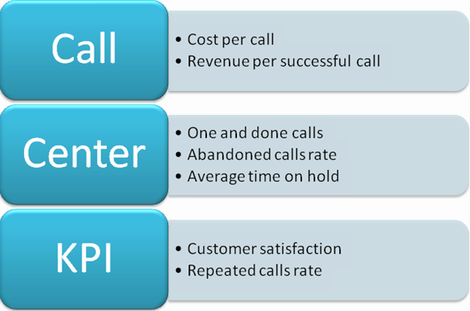 It needs saying that there are primary and secondary call center kpi. Of course, everything depends on goals and tasks of a particular call center. For instance, if sales are the main goal, then revenue per successful call and conversion rate will be most the important KPIs which need to be measured as often as possible. If we are talking about tech support or customer support service, then customer satisfaction is the main thing such a call center should focus on. Operators need to take care of such KPIs as cost per call, one and done calls rate (also called first resolution calls), average time on hold, abandoned calls rate etc. In the first case a call center should do everything possible to keep expenses low and sales rate high. In the second case tech support need to do everything possible to keep customer satisfied, i.e. answer all questions and resolve all controversial issues.